Martin’s new book, “MOBILE INFLUENCE: The New Power of the Consumer,” illustrates the impact mobile is going to have and the future of the market. The Mobile Shopping Life Cycle involves six stages, each thriving with opportunities for marketers to engage with m-powered consumers and to influence their choices. Some of the most innovative leaders in the mobile field share their experiences and success stories as the best way to employ mobile influence is demonstrated. “THE THIRD SCREEN: Marketing to Your Customers in a World Gone Mobile,” defines the implications, strategies, and tactics to thrive in business during the mobile revolution. The book links the technological developments to the behavioral changes that go hand-in-hand and reveals the unexpected aspects of the coming changes in mobile, preparing marketers and businesspeople for what lies just around the corner. The Mobile Future Institute is a U.S.-based think tank that focuses on business strategies and marketing tactics for a world gone mobile delving into how, when, and where marketers should best interact with mobile customers. The Institute and Martin are on the forefront of mobile research exploring how the mobile consumer is on the move, on location and how marketers can most effectively reach them in this new digital landscape. 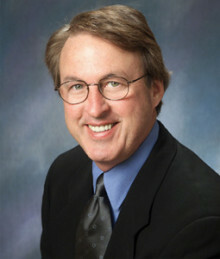 As the former Director of the Center of Media Research at MediaPost Communications Inc., Martin conducted and marketed original research for media, marketing and advertising professionals. Martin is a New York Times business best-selling book author of numerous books, including “The Smartphone Handbook,” “The Digital Estate,” “Net Future” and “Max-eMarketing in the Net Future” (co-author) and has appeared on CNN, CNBC, Fox, and ABC-TV’s “News Now.” He was the founding Publisher of Interactive Age, the first publication to launch in print and on the Web simultaneously and the associate publisher at Information Week, a magazine targeted to CIOs and information technology professionals. Do you want to hire Chuck Martin? Directly request a quote. In 48 hours we can send you the availability of Chuck Martin If you would like to book Chuck Martin, Entertainment Booking Agency is the right place. We will offer you the best price and contact the management or we directly contact Chuck Martin. For corporate appearances or speaking engagements you can contact our agents and the will help you true the process. Tags: hire Chuck Martin, Chuck Martin booking, book Chuck Martin, Chuck Martin appearances, find more information on booking Chuck Martin for appearances, Chuck Martin speaking engagements, Chuck Martin endorsements/spokesperson, Chuck Martin appearance fees, Chuck Martin booking agency contact info, biography of Chuck Martin, Contact an artist booking talent agent find a speakers bureau that can book Chuck Martin, speaker booking agency for Chuck Martin, Chuck Martin booking agency, Chuck Martin booking for corporate event. EBA is one of the biggest entertainment booking agencies in the World. We book hundreds of celebrities, artist, athletes and speakers in a year. Important to know is that we are not claiming to be the management of Chuck Martin. We are not the official agent for Chuck Martin. Companies from around the globe book these artists and speakers true our company be course we have one of the biggest networks and we always have direct contact with the artist or the management. We help you to find the right celebrities for your corporate of private events. Please contact one of our agents to get free advice and we will help to get the world-famous artist on your party.